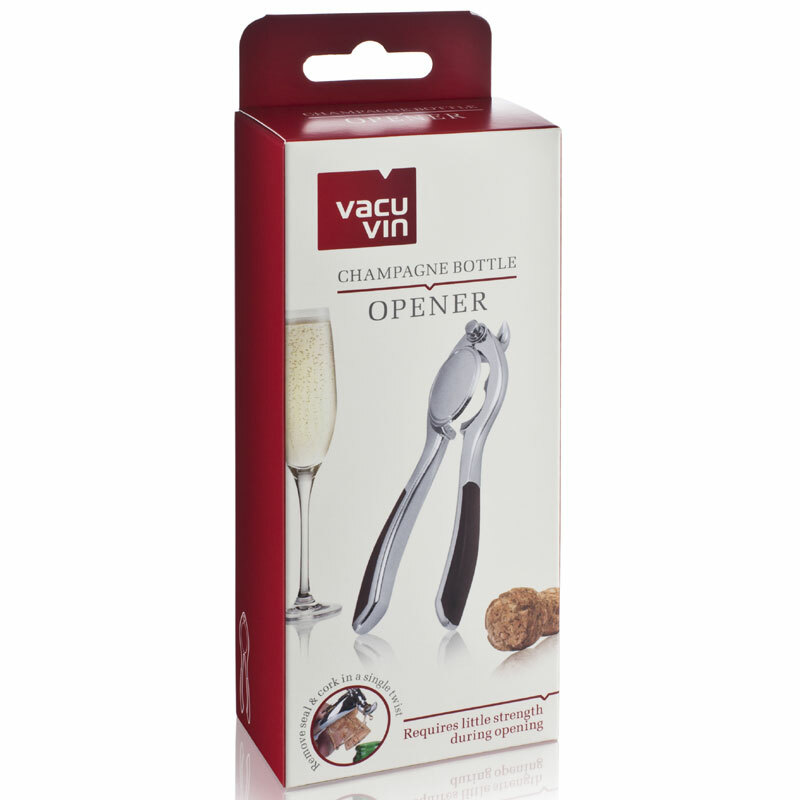 This Champagne / Sparkling Wine opener from Vacu Vin is an easy to use device for removing corks! 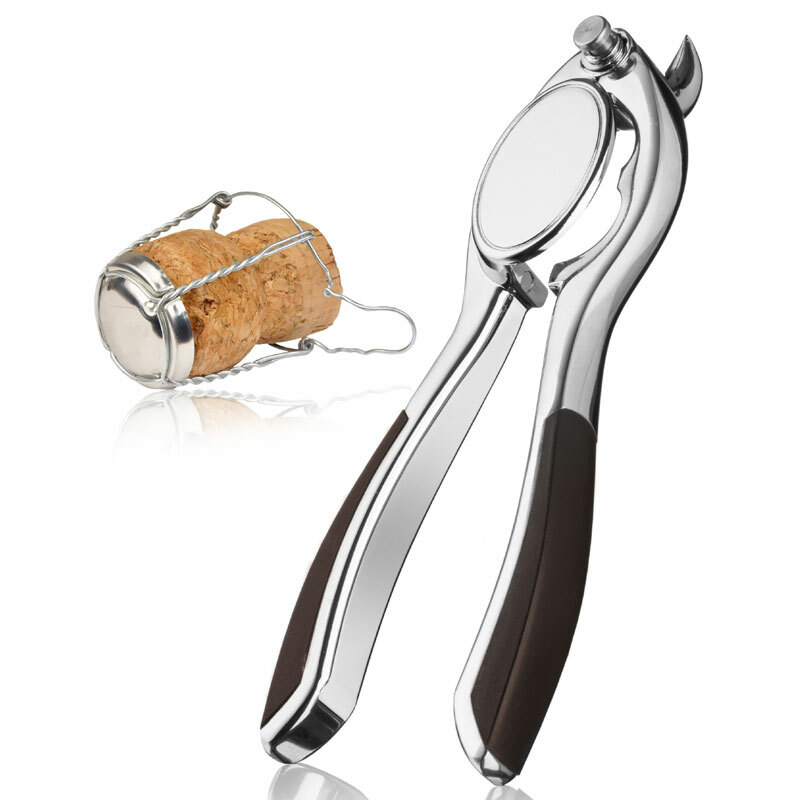 It's a one clamp like system that allows you to remove the foil, wire and cork within a matter of seconds. It features a great safety feature that keeps the champagne cork firmly by your side, rather than allowing it to go flying across the room! This would make a great gift idea for someone who likes a few glasses of bubbly from time to time! This is a terrific product, easy to use, comfortable to handle and it works ! I was given one as a present and have since purchased at least another 6 -from you - to give away as presents to others, good evidence that I mean what I say about it. received it in two days. looks very nice, but did not try it yet. im sure it will be fine. I have not tried it out yet but it came in a box and appears to have clear instructions better than the sparkling wine opener above.